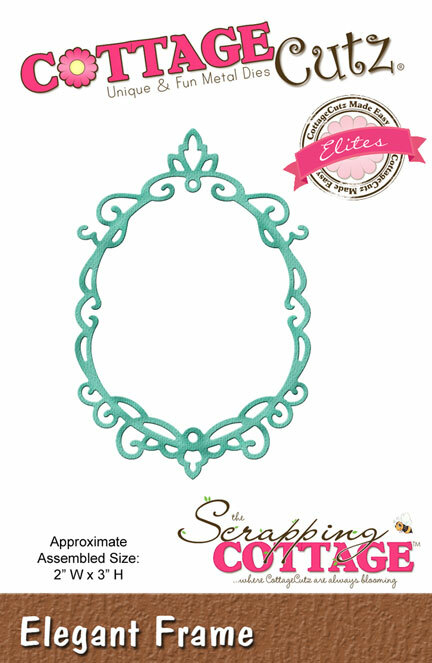 Just a little something to share today with you friends and crafters. It's Carol here today with a little tag made with the gorgeous CottageCutz dies. For this tag I used the Sea Otter w/Fish, Grass with Cattails, Elegant Frame, and Hello Expression Die. Hi all! Vladka here today! Just one more day and I will be on my way to the coast. 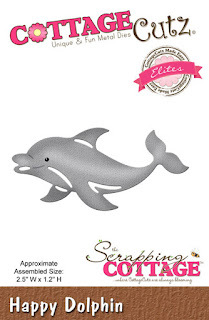 I can't wait to jump in the sea and be free for awhile like this cute Happy Dolphin. 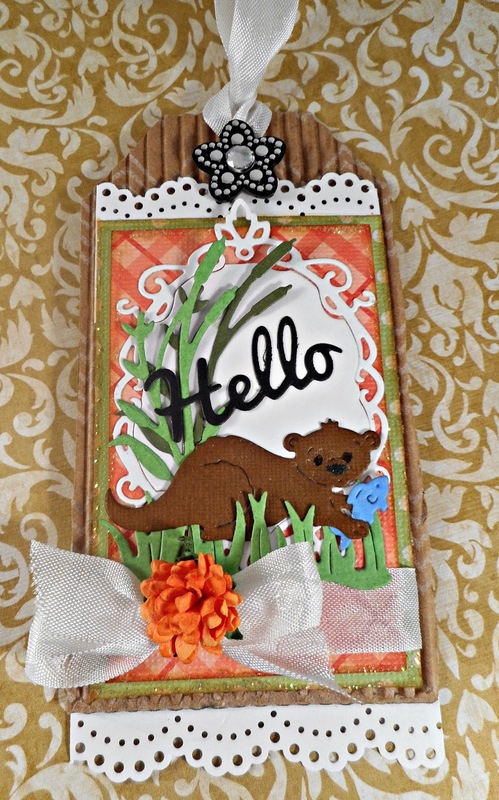 This is quick and easy card to make. Here are the supplies I used: copic markers for coloring the Happy Dolphin (R20, C1 and C3), two Distress Inks for background (Tumbled Glass and Peacock Feathers), Ink Foam Blending Tool, White cardstock and three Wave Border die cuts, cut out of two different blue cardstock. To get more interesting background, I gently colored it with circle motion: first with Tumbled Glass and then with Peacock Feathers Distress Ink. For this I used Ink Foam Blending Tool. Then I put all my die cuts on the surface to see how it will be the best way to combine them. At the end, I stamp the sentiment and decided to put also sun behind the waves like sunset. This is it for today, I hope you like my card. Have a great weekend! 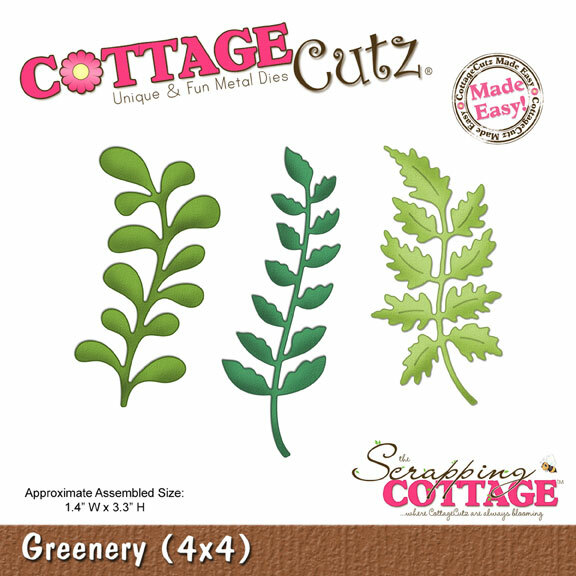 Hello CottageCutz Lover's! Today it's Carol here with a little creation using the CottageCutz pumps mini. 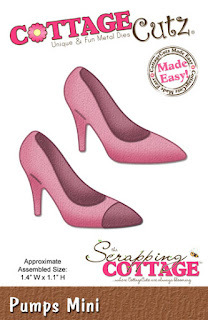 To achieve the two tone effect of the shoes, cut out the shoe on designer paper of your choice and paper piece in black the heel, toe, in shoe insert. Mount the shoes on a 1-1/2 inch round circle and apply to a 2" rosette. 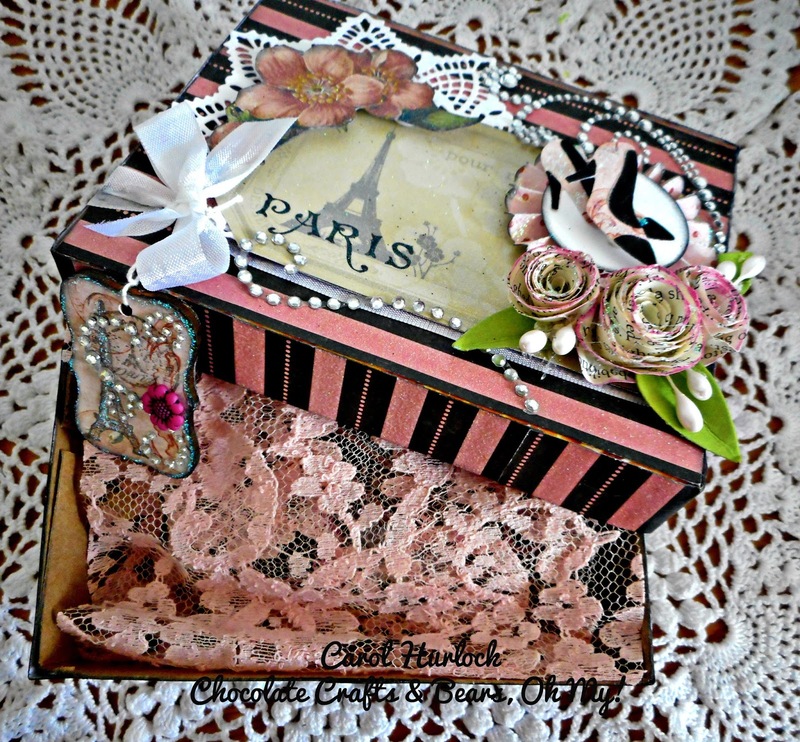 The box was created with cardstock, a doily, Recollection Bling Swirls and a couple images from the Tres Chic DCWV paper stack. The rolled roses are made from an old book and distressed with Victorian Velvet distress ink. This is just a little image tease on what is inside the box. 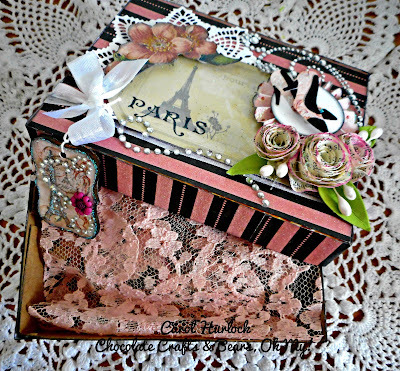 The treasure is wrapped in this pretty pink lace. To create the box you will need to cut designer paper for the lid at 6-3/8" x 7-5/8" and score around all 4 sides at 1 inches. For the bottom of the box you will need to cut designer paper at 8-1/4" x 7-1/2" and scored at 2 inches on all 4 sides. Follow basic construction assembly for this type of box to complete your project. Hello everyone, and Happy Tuesday to all! For my 3 Mini cards(Measure 3 1/2" x 3 1/2") I chose to used CottageCutz Butterfly and Flowers die﻿ and cut it out in white, then distressed it with antique linen, and some gold ink around the edges.I left off the vine, as I didn't want to add any other color to these cards. The darker edge is vintage photo. 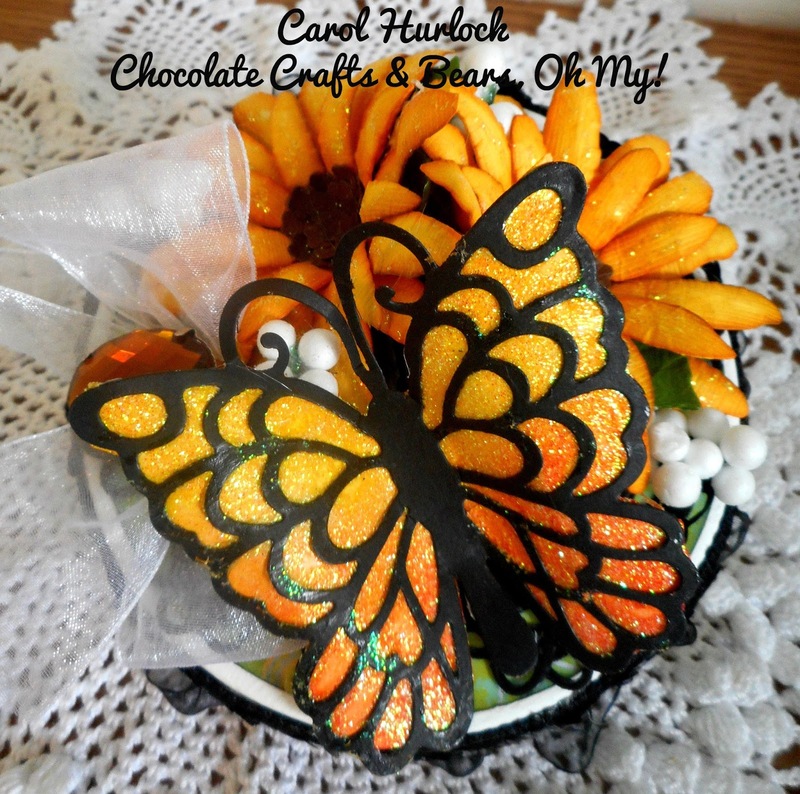 I also added some Viva Pearl Pen dots in cream color to the center of the butterfly. The back layer was done using MS Punch around the page punches. For the Gold Vellum I used it on the background for my cards. I kept my cards pretty simple, as there is no embellishments, ribbon, or sewing on any of these. These came together quickly! 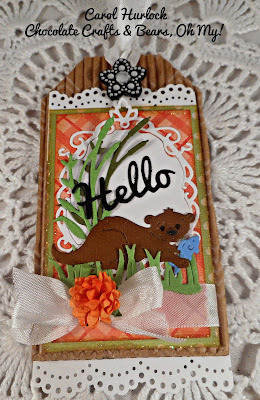 Card Measures 3 1/2" x 3 1/2"
Hi there and welcome to CottageCutz Blog. 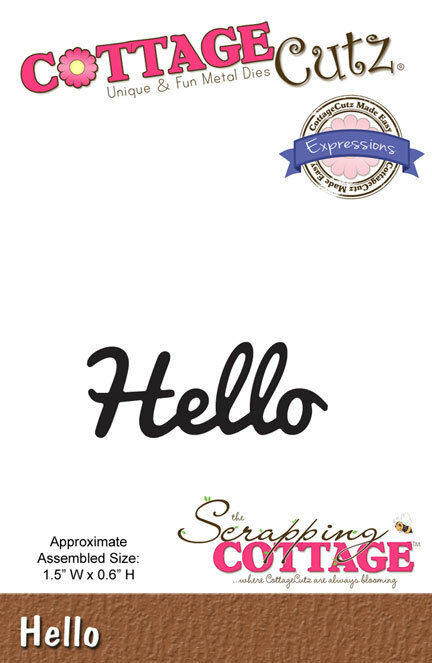 I love making handmade greeting cards and today I'm showing you my new card I created with beautiful dies. 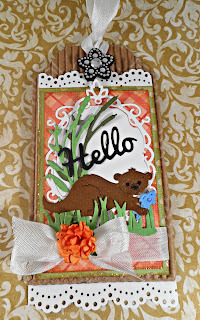 Today I have a new card using die images from a new Summer 2015 release and an older. I used "Clown Fish", "Greenery" and "Vine" dies. 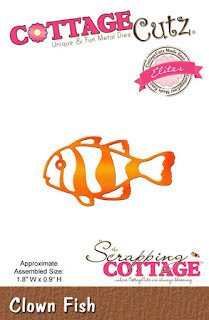 To make card, start by cutting orange and white card stock using the "Clown Fish" die. So, we have orange and white fishes. Don't trough away white pieces from cutting, we need these pieces late. Adhere the orange fishes on black piece of card stock. One fish is normal way to adhere, the other one is reverse side. After all, place white pieces of fish in missing spots on orange fish. You can see details if you click on image. 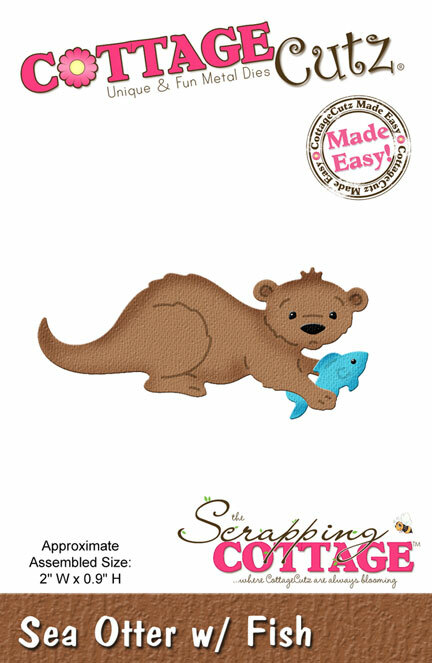 Then, cut fishes around with scissors. 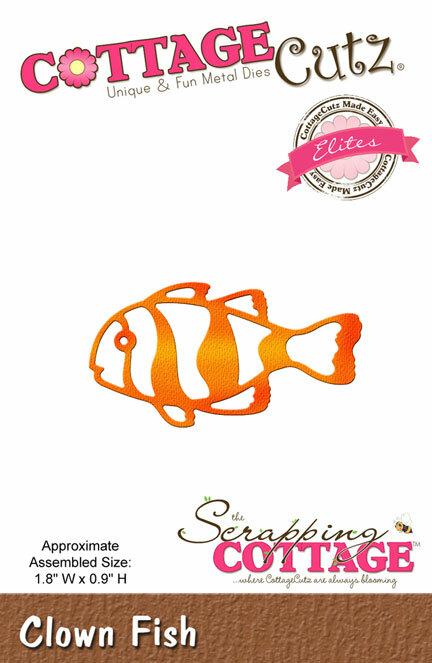 We have beautiful Clown fishes with orange, white and black colors. Add clear shimmer on fishes for sparkling. 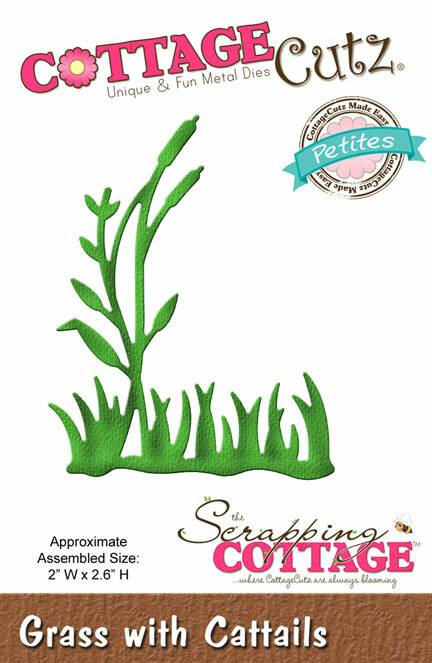 The next step is seaweed. 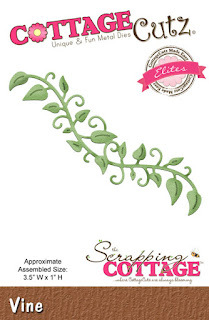 Start by cutting green card stock using the Vine and Greenery dies. To create a background, cut white cardstock using Circle die template and sponge ocean green, yellow and blue craft inks. Make the center area a bit lighter then edges by sponging yellow ink, then green and around circle with lt.blue craft inks. Next, stamp seaweed and corals using Md.brown ink. The next step is putting all cut pieces to ocean circle using foam tape and craft glue. Prepare a 3 3/4 by 5 1/2 inch white card base. 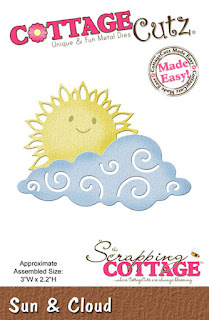 Layer the ocean background with Tiny Bubbles embossed card stock and adhere to the card base with craft glue. The final step, stamp sentiment in the bottom of card base using orange craft ink. You can use different sentiment, but I like this on. Embellish card with Clear Dew Drops and self adhesive small pearls. Other: Tiny Bubbles embossing folder, scissors, paper trimmer, scor-buddy, foam tape, Clear Dew Drops and self adhesive white pearls. Hello everyone, Cheryl here today with another set of Mini cards made using the CottageCutz Flowering Vine from the CottageCutz Petites Collection﻿. Love this flowering vine, its absolutely Beautiful! 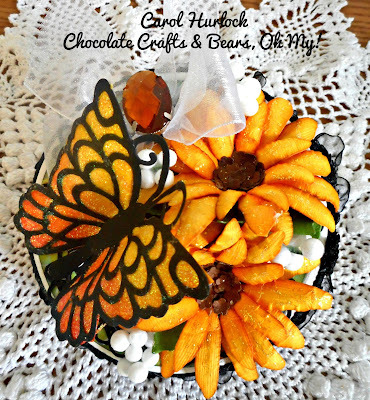 Carol here today wth a project created with the gorgeous Fancy Bella Butterfly die. It's. mounted on a Laughing Cow Cheese box. The beauty of nature can be such an inspiration for crafting. Simple everyday things we take for granted can inspire us when we take a moment to study the intricacies. The other day I was watching some Monarch butterflies and really wanted to create one. I love the beautiful orange and yellow color with black outline. 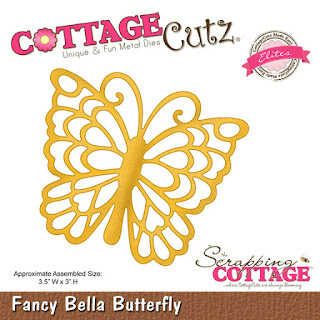 To create this butterfly, cut out your Fancy Bella Butterfly die on black cardstock. 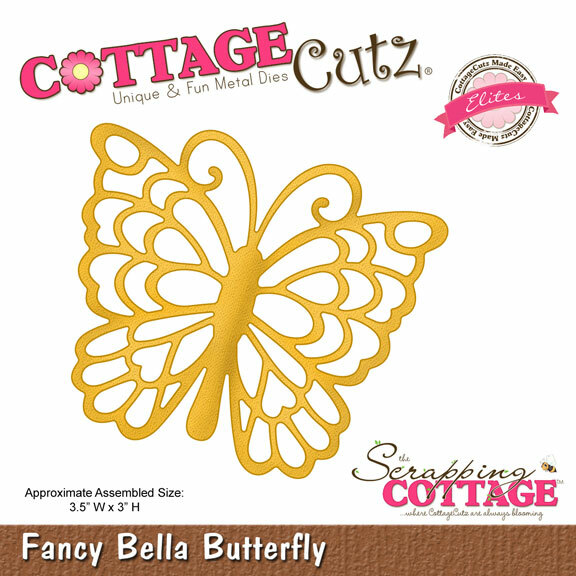 Take the die and trace it on watercolor paper and cut it out to fit to the underside of the black die cut Bella Butterfly. You will want to cut away any "extra" areas that do not compliment the butterfly shape. To create the gradient color, use distress inks in Mustard Seed, Spiced Marmalade, and a touch of Barn Door towards the bottom of the butterfly. 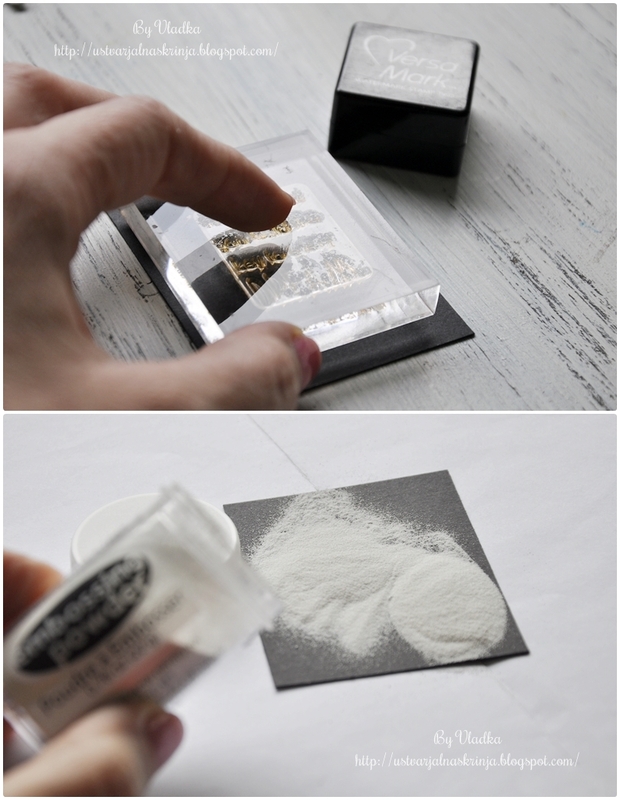 Paint this piece with glue and sprinkle with Stickles Diamond Dry Fine Glitter over the top and let dry. 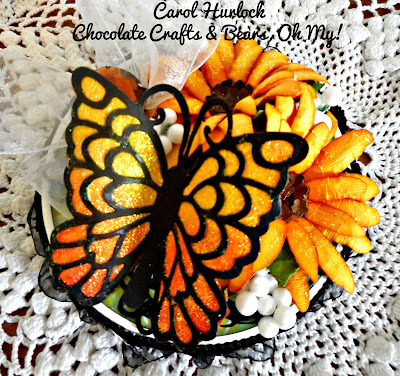 Once this has dried, mount the black butterfly cutout on top and you have your beautiful Monarch Butterfly ready for your project. It's super gorgeous. 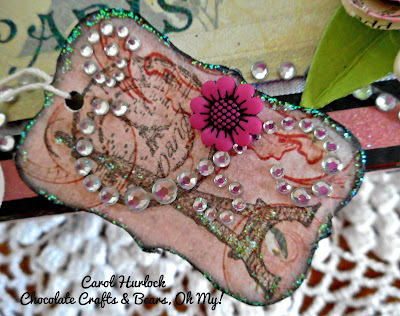 Today I have two little tags for you, which can be hanged somewhere or can be used like tags on gifts. 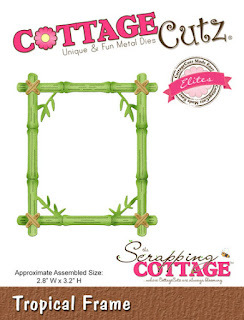 Little frames are cut out from kraft paper (you can use also white cardstock) with Tropical Frame die, for each tag twice. 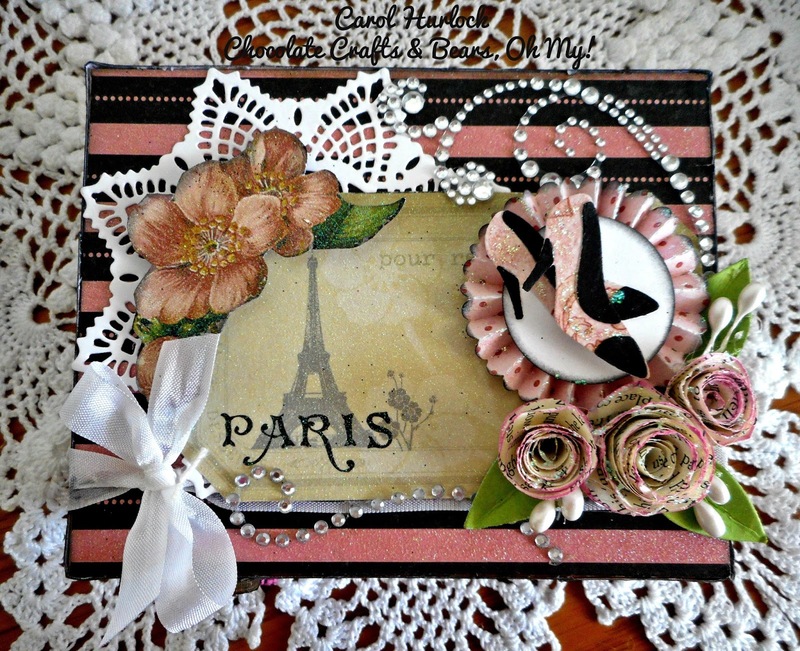 Here are all the supplies I used: Tropical Frame die cuts (two for one tag), White Tempera, little sponge, Embossing powder, VersaMark stamp pad and two black cardstock pieces for one tag. Please, click on the photo, to see close up. I cut off little branches inside of the frames and then colored them with white tempera and put them aside to dry. 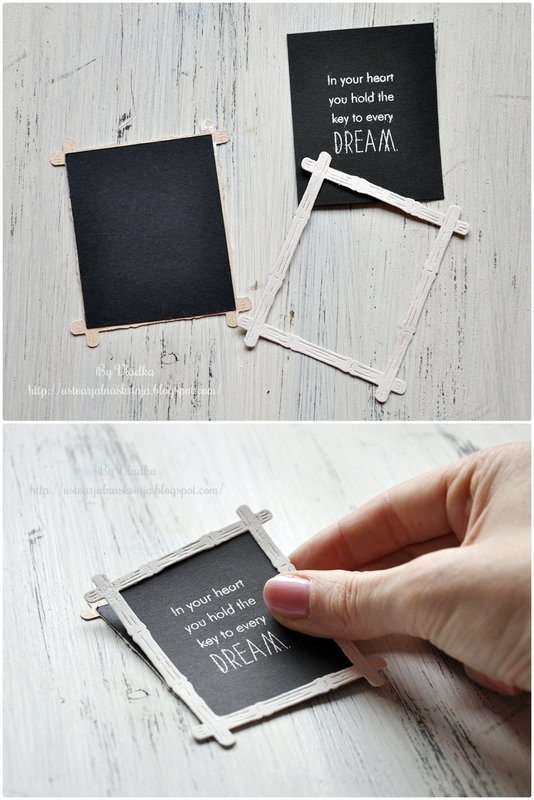 I also prepared two black cardstock pieces which were slightly smaller as frames and embossed sentiment on one of them. Then I glued individual black piece on the individual back side of the frame. After that I glued two frames together on back sides, so that the front and the back side of the tag look nice. The only different is, that on the front there is a sentiment and on the back side is empty black cardstock. To get the chalkboard look, I added white ink here and there and for little color I put little red heart on each tag. Than I make little holes and put the twine through. This is it from my side for today. I wish you all great week!